‘Flipping’ the classroom: easier than we think? In the last couple of years, I’ve occasionally come across articles and conference presentations on the topic of ‘the flipped classroom’. It’s a concept that’s not new, but when I brought it up in conversations with a number of colleagues (I was talking about an upcoming presentation for IATEFL), I realised that few of us EFL and EAP practitioners seemed to have really engaged with it. So that’s why I decided to write this blog: both to find out why we’re not all ‘flipping’ (I couldn’t resist) and to share a bit more information about what it means. In many eras and locations, the teacher has been seen as the focus in the classroom and the source of most of the information. The flipped classroom approach is more learner-centered. 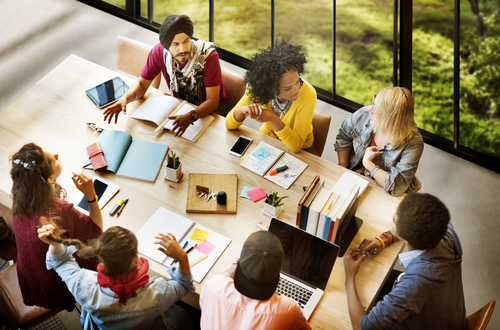 It acknowledges that it is increasingly easy for students to access content online before coming to class, which means that the lesson time can be used to share that knowledge and implement it in more practical, personalised and exciting ways. One reason why English teachers might not know too much about this strategy it is that it is easily dismissed as something we are doing anyway: isn’t it generally good classroom practice to get students to come prepared and to maximise the resource that students are by getting them to interact rather than to fill in exercises? To that I’d say that yes, EFL teachers are definitely doing it already, but by naming and examining it we can reflect on ways to do it more efficiently and systematically. Another reason for the lack of engagement is that it is a blended learning method and therefore involves technology, and not all teachers and students are in a position to rely on this: it very much depends on their location in the world. 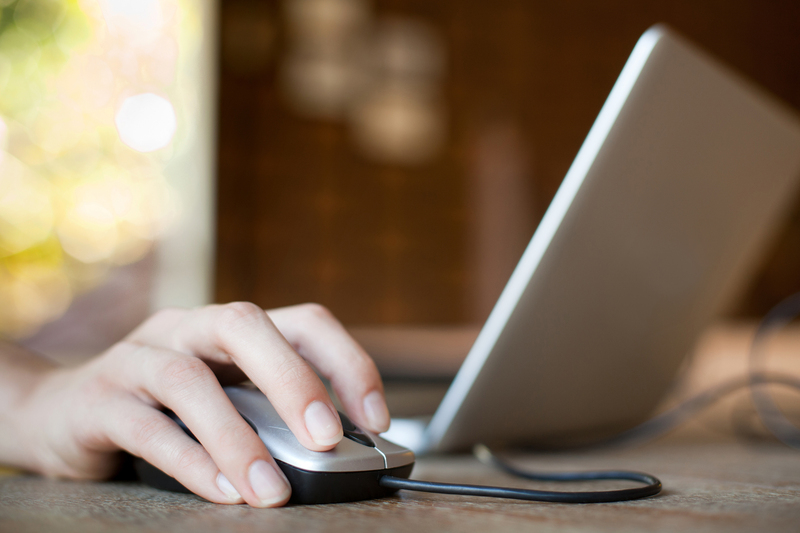 Where online access is available, teachers may be reluctant to use technology to the extent that they believe is required. It is certainly true that a lot of teachers who use the flipped classroom approach have done this in a rather enthusiastic way, e.g. they have done a complete swap from their conventional teaching to this approach and have dedicated their time to making their own instructional videos using the latest clever software. Well, you can probably tell I am not one of those people… I applaud them but I am never going to be like them. I lack the know-how and the time to do something about it. I do believe though that it is worth seeking out new materials that use this approach or to look for existing online open source videos while adapting our course books and ways of working so that we maximise classroom time. weaker students can access and repeat the information they need as often as they like in the privacy of their homes. This levels the playing field in the classroom and stops them having to catch up later, which does wonders for their confidence. It clearly is an approach that is definitely worth taking, both for its modernity and efficiency. And the good news is that publishers and authors agree with this and are making our lives easier by incorporating it into their materials, which takes out the hard work for the teachers – here’s one we made earlier. So, there really is no excuse left not to flip. Els Van Geyte works at the Birmingham International Academy at the University of Birmingham and is the author of IELTS exam skills and Academic English text books. This entry was posted in Author Features, Publication Announcements on January 26, 2016 by admin. Are you looking for original ways to get your students to read? Here are 8 ‘Who am I?’ questions revealing interesting life-facts about some of the Amazing People featured in the 8 brand-new Amazing People ELT Readers we’ve just published. Can you guess who the people are? Below you can also find links to videos of each of these Amazing People talking about their lives and achievements. There are also links to download classroom ideas, lesson plans and worksheets from our ELT Readers Teacher Zone, as well as more information about the books the people are featured in. The answer key is provided at the bottom of this post. Read the ‘who am I’ questions 1-8. Can you match them with the Amazing People A-H and their images a-h? 1) I wrote the very first computer program – and you might be surprised to hear that I was a woman. My father was Lord Byron, the famous poet, but he died when I was only 8 years old. Who am I? 2) I was born in Salzburg, Austria. People said I was a ‘child genius’ because I began playing and composing music when I was very young. My older sister Nannerl was a very talented musician, too. I’m most famous for my operas, The Marriage of Figaro and The Magic Flute. Do you know who I am? 3) I was an American trumpet-player and singer, and I came to discover ‘a wonderful world’. I grew up in a poor area of New Orleans, where life was tough for young African-American boys. Do you know who I am? 4) I became sick with meningitis at 19 months, before I even learned to speak. I still went on to become a famous teacher. I started an organisation to teach people about blindness in 1915. Who am I? 5) Do you know Tom Sawyer and Huckleberry Finn? Then you probably know my name, too. But the name you know me by is not the name my parents gave me – that’s Samuel Langhorne Clemens. Who am I? 6) I opened my first salon in New York City when I was 25 years old and went on to create what became one of the most famous cosmetics brands in the world. I was also the first woman to appear on the front cover of the Time magazine. My parents gave me the name Florence Nightingale Graham. What’s the name I am known to the world by? 7) A very famous prize for cultural and scientific advances is named after me. I was a chemist and businessman and my greatest invention was dynamite. Who am I? 8) I was a powerful Roman leader, and I lived much earlier than any of the other people in this quiz. From a young age I wanted to be a leader and a hero. I fought hard to gain control of many territories for Rome. My father was called Gaius and my first name is Gaius, too, but I am known by the name of… do you know? A) I am Helen Keller. 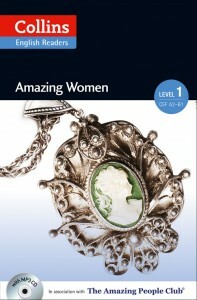 My story is featured in Amazing Women (Level 1). 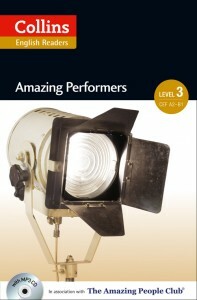 E) I’m Louis Armstrong, and you can read my story in Amazing Performers (Level 3). 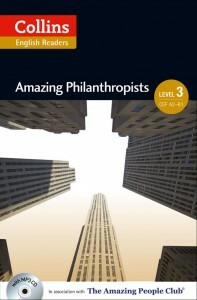 F) My name is Alfred Nobel and my story is in Amazing Philanthropists (Level 3). G) I am Julius Caesar. 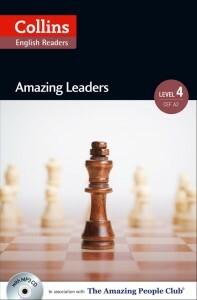 You can read my story in Amazing Leaders (Level 4). 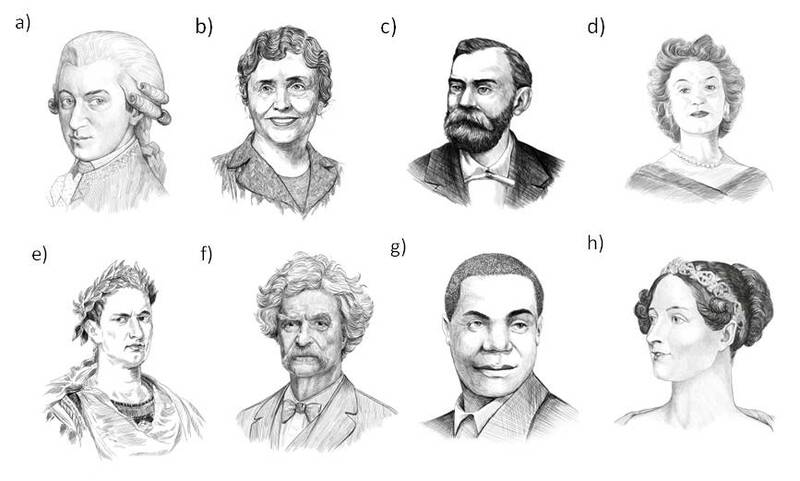 H) I am Mark Twain and I’m one of the writers in Amazing Writers (Level 4). Can’t see the image properly? Click on it to display full screen. Click on the images to find out more about each Amazing People ELT Reader. The Amazing People ELT Readers have been created in association with The Amazing People Club. This entry was posted in News, Publication Announcements, Tips for Teachers on May 22, 2014 by admin. We’re delighted to announce that not just one, but two (TWO, t-w-o!) of our books have been shortlisted at this year’s HRH The Duke of Edinburgh English Language Book Awards, awarded by the English-Speaking Union. Collins Key Business Skills is a worthwhile addition to the market and innovative in the possibilities it provides for self-study. The clear presentation aids the logical progression of the content and the tasks provide realistic challenges. This is an original entry with a strong layout, progression and development. It is easy to use and is successful in making even the mundane activities of daily life engaging and interesting. The audio files are authentic and the content is very suitable for the target audience. This entry was posted in Publication Announcements on October 17, 2013 by admin. Is good international communication just a question of how good you are at English? No, says Bob Dignen, communications expert and author of Collins Effective International Business Communication. It’s equally important to understand communication processes and styles. The characteristics of a ‘good’ communicator can’t easily be tracked down, says Bob Dignen in an interview published in the January issue of Business Spotlight. ‘Good communicators think situationally’ because ”good’ will be defined by the situation, not by some abstract ideal’. Effective International Business Communication by Bob Dignen with Ian McMaster is a guide that helps you use the right style of communication at the right time to get your message across clearly in any situation. But it’s not all about speaking – the title also helps you listen more effectively to create better understanding. 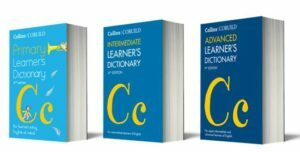 With the advice given in this book you’ll be able to handle challenging meetings with native and non-native speakers of English, build successful relationships, and manage conflict. Effective International Business Communication will be available in bookshops and online from 31 January 2013. If you’d like to have a look, please download a sample unit here. You can also read the first page of the Business Spotlight interview with Bob Dignen on the Business Spotlight website (scroll down, and click on the image next to ‘BUSINESS SKILLS: Communication’ to start reading). This entry was posted in Publication Announcements on January 17, 2013 by admin. Another fantastic review of a Collins title has been published in the EL Gazette this month. Pete Sharma recommends Collins English for Life: Writing Intermediate for self-study and as classroom supplement. He praises the ‘Useful Information’ section in each unit, and particularly likes the unit on tweeting. You can read the full review at the bottom of this entry. 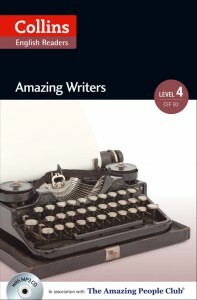 Collins English for Life: Writing Intermediate is part of a four-book skills series. There is one complete book to help students with each of the four skills – Speaking, Listening, Reading and Writing. 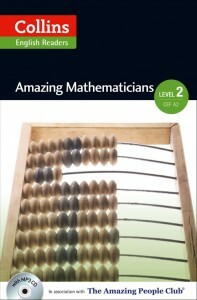 And the good news is that the Pre-intermediate level of this series will be published at the end of this month! If you’d like a sneak peek, download some sample units in our General English section. Pete Sharma, EL Gazette, January 2013. This entry was posted in Publication Announcements on January 15, 2013 by admin. Are you looking for advice with presentations, meetings, networking and negotiations in English? Read Barry Tomalin’s article ‘Business Skills and Business Language’ below. Barry is the author of Collins Key Business Skills. Jean-Francois is frustrated. He’s a senior manager in an international computer business services firm. He works with UK, US, Chinese and Egyptian colleagues and he can’t get through to them. And he is not getting the results he needs. Jean-Francois is right. Like a large number of business executives working with overseas colleagues and customers, he is not confident in communicating internationally. Therefore, all the business English he has so carefully learned is not much use because he lacks the international business communication skills to go with it. What are these skills? There are four. What’s the solution? Jean-Francois needs to leverage his language. He needs to learn how to present his ideas as a clear package. He needs to learn business communication skills. And he needs to learn the language that delivers these skills. But not any language. The language native speakers use. That will create a ‘no surprises’ communication culture and free him to concentrate on what he really wants to say. We can present the three ingredients of successful communication like this. How can Jean-Francois apply these three ingredients to the areas he needs to deal with? Here are a few ideas. Learn to listen, not to judge, not to evaluate and certainly not to take over the conversation. If you can learn to listen quietly and appreciatively, it can work to your advantage. Suddenly, you are showing interest in the other person. You are in touch with how they feel, not just the words they use. Do you know how they will describe you? An excellent conversationalist! That’s the structure you can use in listening appreciatively to another person. What is the language you can use with each word? Well, Focus is essentially body language, eye contact. But you must be careful. In Asia, especially in Japan, eye contact may be intermittent or even avoided rather than constant. Clarifying is asking questions to help the story move along. ‘So what happened next?’, ‘What did you do then?’, ‘How did you solve that problem?’. Remember, your aim is not to evaluate. It is to encourage the speaker to develop the story or argument. Finally, Empathise is to show appreciation. There are various phrases people use, depending on the situation. However, they all have one thing in common. They are always positive or sympathetic. ‘Wow!’, ‘Congratulations’, ‘That’s great!’, ‘How awful!’. You probably get the idea. Which language should you use or is it better to use English? Protestant vs Catholic in Northern Ireland and elsewhere and lots of other examples. In France it’s a bit of a joke but Paris vs the rest of France, or Bavaria and the rest of Germany. Greece in the Eurozone but also the perceived economic difference between the richer north of Italy and the ‘Mezzogiorno’ South. Tensions in the ‘rainbow state’ of South Africa or even today between black and white and Hispanic in the US. Calling Canadians ‘Americans’, traditional rivalries within Europe between UK, France, Germany and Russia and countless other examples. In all these environments it’s perfectly possible to discuss issues with people you know, but it might be risky to raise them immediately. So for networking you have a structure for conversation, you have common phrases people use and by definition you are being more concise and organised in your presentation. Repeat so everyone can hear. Reformulate to make the answer easier. Check the questioner is happy. Notice that last stock phrase, ‘Does THAT answer your question?’ not ‘Have I answered your question?’ It is a technique we call ‘depersonalisation’. If you’re not happy with the answer, it’s not me that’s the problem, it’s the answer. I can try again! One of Jean-Francois’s problems is running conference calls. Because of his English he often feels he loses control of meetings and they go on too long with no positive result. Is there a structure he can use that will help him control his meetings? Yes, there is. POINT 1 Establish control early: Kick off meeting, welcome and get guests to identify themselves. POINT 2 Don’t take your own minutes. Get someone else to do it. Frees you to run meeting. POINT 3 Introduce each item and speaker. POINT 5 Keep to time. POINT 6 Keep to agenda. POINT 7 Summarise discussion and decide what to minute. POINT 8 If people digress or get aggressive, suggest you discuss ‘outside the meeting’. POINT 9 Thank and close meeting, check minutes and circulate. This is our final point. But surely, Jean-Francois knows how to negotiate! Yes, he’s very good at it. But he’s not good at judging his negotiating partner’s position from the language used. He thinks his partner is ready to agree but suddenly he realises that the partner has raised a new point and gone right back to the start of the negotiation. Is there, he asks, a structure he can use to help him identify his negotiating partner’s position from the language he is using? Yes, there is. He can use the five stage negotiation process defined by Professor Gavin Kennedy of Glasgow University and a ‘guru’ of negotiating. PREPARE: Prepare the ground. Explain your position. DEBATE: Discuss each side’s position. PROPOSE: On the basis of what you have discussed, make a proposal. BARGAIN: Argue about what you will or won’t do to reach agreement. AGREE: Finally, hopefully, you reach agreement. Easy! What’s the problem? The problem is it is not a linear process. Negotiatiors may change the stage they are at, at any time. If they are doing it in a foreign language, it is difficult to know what is happening. Are there any stock phrases which will give us a clue? Yes, there are, but you have to find them. We suggest you make a list of the five stages and keep them in front of you in any negotiation. Then, when you hear a phrase, match it to the stage of negotiation. This way you will build up phrases and vocabulary and their relation to each stage of a negotiation that will make you feel more confident. And Jean-Francois as well! To help you, here is one we have prepared. So, we have looked at frameworks and associated common phrases that you and Jean-Francois can use to help you be more confident and fluent in networking, presentations, running conference calls and negotiations. 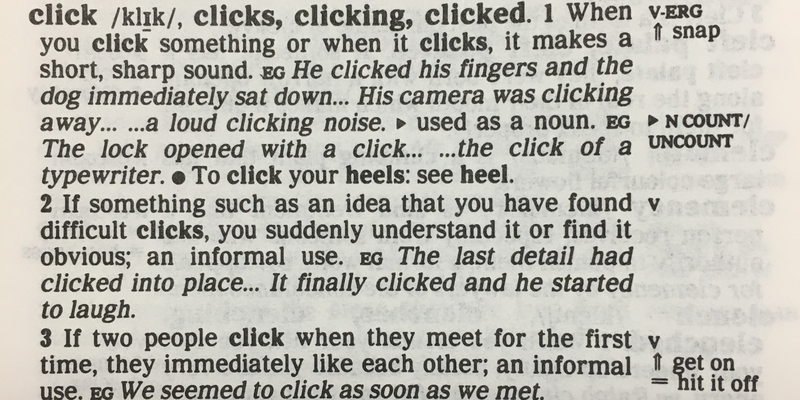 And if you use these techniques, you will sound more concise and much clearer and more decisive. Try them one by one and see what happens. You will be delighted by the results. BARRY TOMALIN is the author of Key Business Skills, a one-stop Business English guide and practice book, published on December 6th. 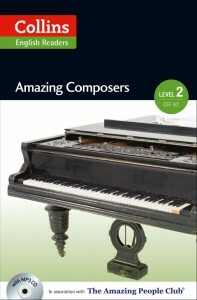 You can see all these techniques explained with exercises and recordings to help you practise. This entry was posted in Publication Announcements on December 13, 2012 by admin. Continuing a sensational week for Collins ELT – which began with the Collins Business English: Listening app winning the prestigious David Riley Award for Innovation in Business English and ESP – ​Collins First English Words by Karen Jamieson has been awarded the Best Entry for Young Readers at The English-Speaking Union‘s 2012 English Language Awards. Described by the judges as “a book that will be read over and over again”, Collins First English Words is a picture dictionary for young learners of English. It is full of relevant everyday vocabulary, alongside engaging illustrations, fun activities as well as a CD with lovely songs to capture the imagination. Interested in finding out more? You can look at a sample spread and listen to one of the songs here. The title is available internationally from bookstores and online, and it retails for £11.99 (PB+CD). We are incredibly pleased about this award, and would like to thank author Karen Jamieson, Publishing Director Elaine Higgleton, songwriter Iskra Anguelova, and Lucy Cooper, Kerry Ferguson and Lisa Sutherland from our Glasgow-based editorial team for creating a truly fantastic and engaging book that many children will enjoy. The delighted team received the award at the House of Lords on 12th February 2013, in a ceremony hosted by Lord Alan Watson, and followed by the inaugural English Language Council Lecture by David Crystal OBE at the international headquarters of The English-Speaking Union in Mayfair. This entry was posted in Publication Announcements on November 22, 2012 by admin. There was brilliant news last Friday from the BESIG​ (Business English Special Interest Group) Conference in Stuttgart, with the Collins Business English: Listening app winning the prestigious David Riley Award for Innovation in Business English and ESP. The award was received by author Ian Badger, Publishing Manager Celia Wigley and ELT Marketing Executive Eva Schmidt in front of 250 of the 500 conference delegates. In his acceptance speech Ian Badger thanked Collins Senior Editor Nikki McMullan, the Collins team as well as the app developers at Red River Press for their support. 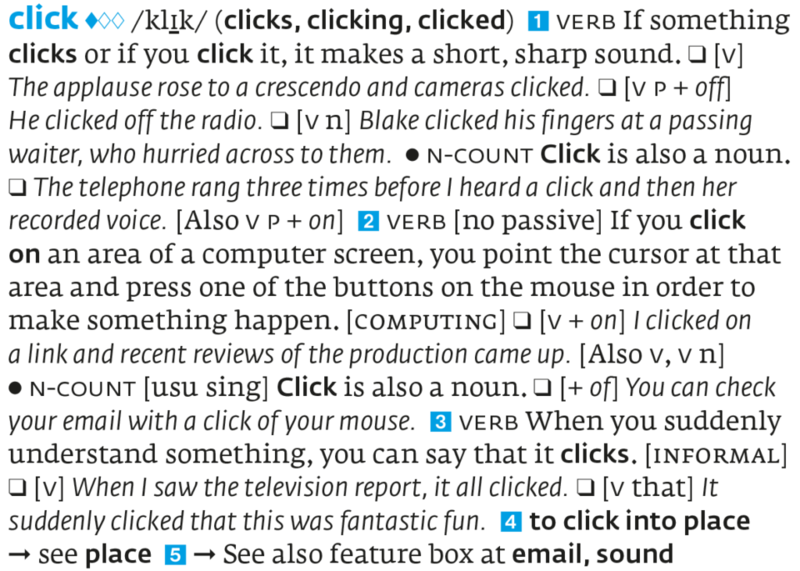 The Collins app was up against 12 other innovative Business English products. The judges commented that it was a difficult decision, but that Ian Badger’s innovative use of authentic recordings as well as the app’s smart use of mobile technology meant that it came out on top. 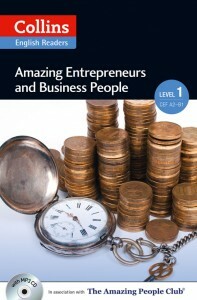 The Collins Business English: Listening app is available for a promotional price of £3.99 (-60%) until 30 November 2012. For more information or to buy the award-winning app for your iPad, click here. This entry was posted in Apps, Publication Announcements on November 21, 2012 by admin.